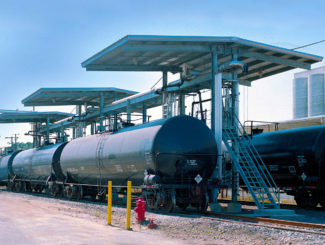 Make Rail Car Safety Your Top Priority! 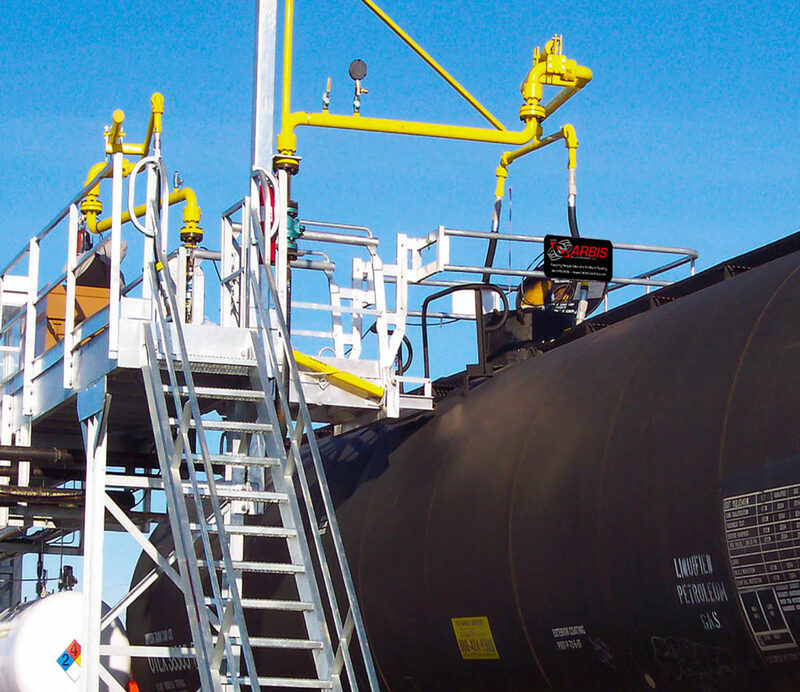 If your facility includes loading spots characterized by a need to service the same kind of vehicle repeatedly, Flat Ramps designed by Carbis Solutions, will provide the walkway safety you need to ensure fall protection for your employees. 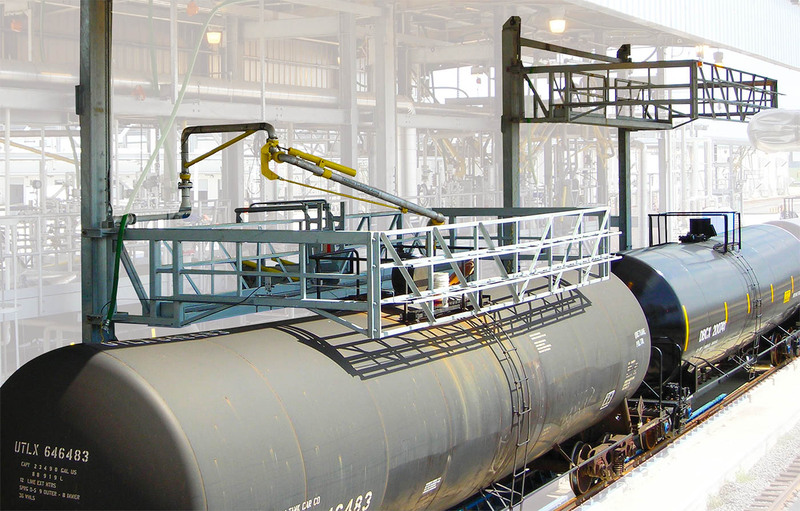 Carbis Solutions configures Flat Rail Car Ramps with several types of safety cages and a choice of optional walk surfaces, and custom and track mounts. 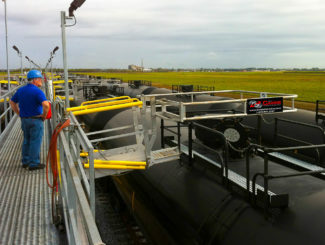 Like all Carbis products, they can be customized to your specifications. 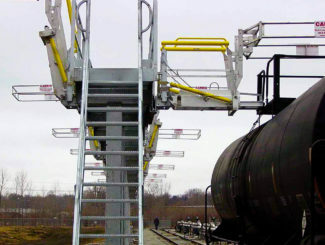 Gangways are supplied with spring balance operation standard for raising and lowering, but they can be provided with hydraulics or pneumatics for added assistance as well. Minimize trip hazards on walk surfaces. 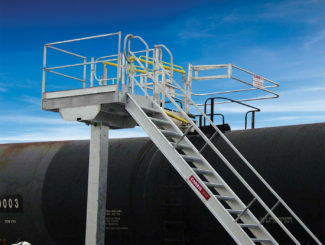 Provide guardrails that comply with OSHA standards. Completely enclose the work space. 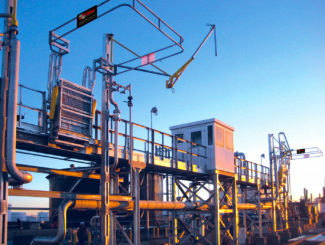 Provide standard spring balance for raising and lowering gangways. 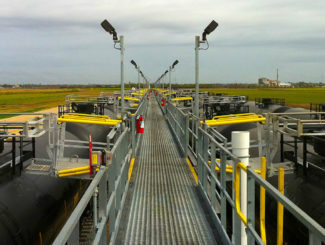 Offer optional pneumatic or hydraulic systems to raise or lower gangways.